A Weekend Retreat for you to nourish your soul, heal your heart and awaken you to the rhythm of your full Divine feminine essence. Experience the magic of Avalon, the heart chakra of the world, as she calls you home to rest in the heart of the Goddess, to return to a place of self-love and acceptance. Feel the ancient wisdom of this mystical landscape weave its magic as you fall in to the footsteps of your ancestors and you remember your true reason for being. 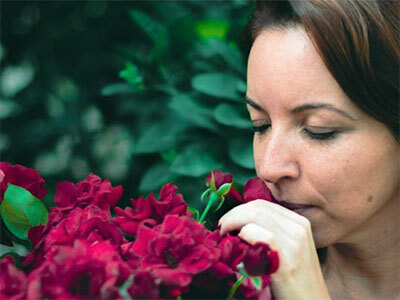 This Retreat is for a small group of women who are ready to journey deeper to discover the mysteries of their own feminine power and presence and to receive the blessings and love from deep within the heart of the Goddess. Further information: Pricing, Accommodation and full schedule are below. 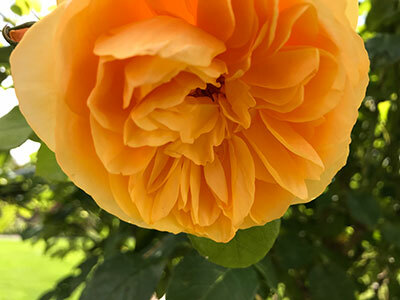 Summer is the time when everything in nature comes to fruition, comes in to full bloom. There is abundance available on all levels. The sun is high in the sky, there is light and warmth and is the season of joy and celebration. This special weekend offers the ideal time for you to enjoy the blossoming of your own true nature and expression of your feminine potential. The power of the Goddess is fully present in the undulating landscape of the Isle of Avalon and it is as we walk and commune with her that we come to rest in the gentle heart of the Goddess, letting go of all that is not love and reclaiming your feminine power, love and beauty – your true sovereignty. 2019 offers a fresh opportunity to connect with the new vibrational frequencies now available on the planet. The sacred sites of Avalon anchor these light codes and are ready to be gifted to you to upgrade your divine blueprint so that you can live from your highest truth. The healing effects following this weekend will continue for sometime, helping you to deepen your embodiment of your feminine essence and self-expression. 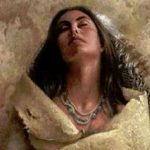 Much of this weekend will be out on the land for this is where we can commune with the Goddess energy more readily and receive her wisdom. 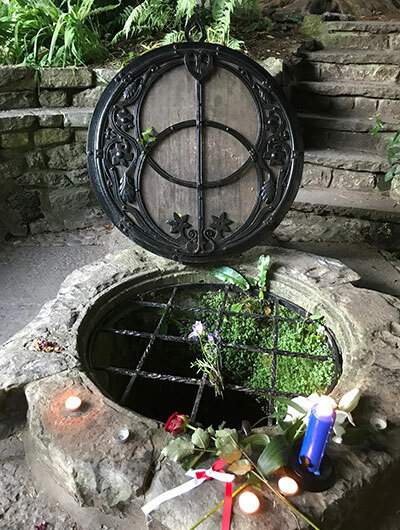 We will visit the sacred sites of the White Spring for initiation and to commune with the Goddess of Water and the Chalice Well Gardens making time for prayer, contemplation, thanksgiving, meditation and powerful initiations with the Goddess and God, as embodiment of the Divine Feminine and Divine Masculine, remembering that we are unified in wholeness. We will climb the Tor and make our pilgrimage at the top, celebrating with song and drum. We will visit the Abbey grounds in the centre of Glastonbury, the sacred place of our Lady Mary and ask to be received and our hearts healed. There will be space to share and be supported as well as time for your own contemplation and stillness. 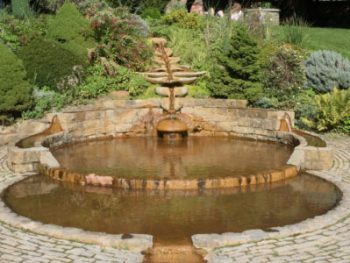 We will enjoy the tranquillity of the Healing Waters Sanctuary as a base for our sacred retreat and be nourished with wholesome locally produced, vegetarian food prepared by Healing Waters own chef. Throughout the weekend you will be held in the loving presence of the Goddess, the Divine Mother. The nature spirits of land and water will weave their magic, bringing timely blessings and healing. Merlin, Alchemist and Magician of this sacred land, will also be our Guide and Gatekeeper and protector of the spiritual and physical realms. Together with these powerful energies, Sonraya will be holding you and guiding you on this beautiful journey. 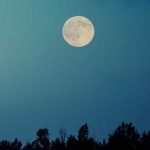 This retreat is for a small intimate group of women who feel called to embrace a deeper connection to their own Divine feminine and feel drawn to do this in the spiritual centre of Glastonbury, knowing that the magic of the Isle will take you to deeper places of healing, alignment and ultimately sacred union. Goddess and God shrines at the White Spring, the Chalice Well Gardens, The Tor, Lady Mary Chapel at the Abbey. The ancient Isle of Avalon lies within the small town of Glastonbury and is steeped in mystery and magic with the legends of King Arthur and Queen Guinevere. Throughout history it has been the place for spiritual pilgrimage. It is now a well-known spiritual centre that is considered the heart chakra of the world. Prices are based on a small intimate group of between 5-7 women. A minimum of 5 people is required for this retreat. Includes your personal one to one session of 90 minutes that can be taken before or within 4 weeks of the retreat weekend. Ideally at my Healing Sanctuary in Poole, Dorset or over telephone or online Skype/Zoom. Non-refundable deposit £250 payable by bank transfer or Paypal (please note Paypal fee applies). Payable by bank transfer or by Paypal (Paypal fees apply). Please contact me to express your interest and book a free telephone consultation. A Booking Form and Terms and Conditions are available. Exclusive use of the Healing Waters Sanctuary during your stay. It was a wonderful weekend of magic, love and challenge. Thank you for making it so special and meaningful. I have come in to myself as a Goddess and woman in my own right. 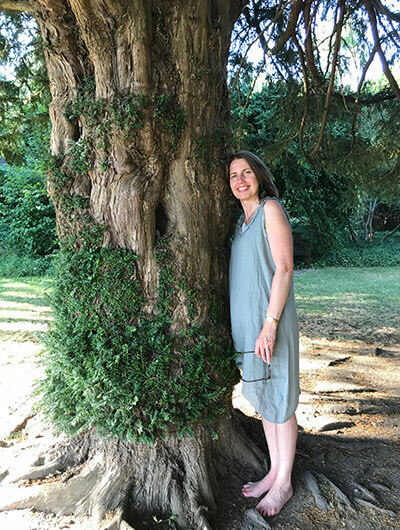 Sonraya is a powerful facilitator of sacred journeys, creating spaces of peace and loving support in which healing and integration can occur at a deep level. I met Sonraya and instantly took to her. She is a wise, sound person that I felt I could trust. She is very professional, knows her area extremely well instilling confidence, I have always felt in very good hands. I would highly recommend working with her. 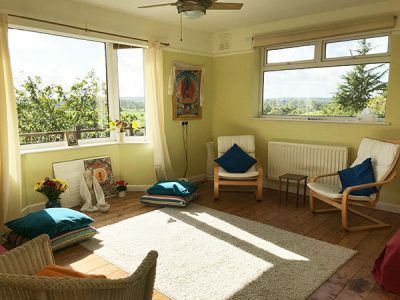 Healing Waters is a light filled peaceful sanctuary that sits on the St Michael ley line. 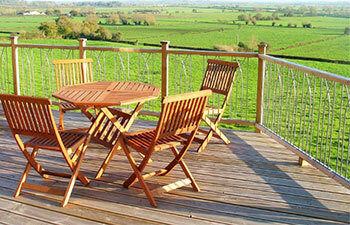 There are beautiful views of The Tor and the Somerset plains from the veranda at the back of the House. 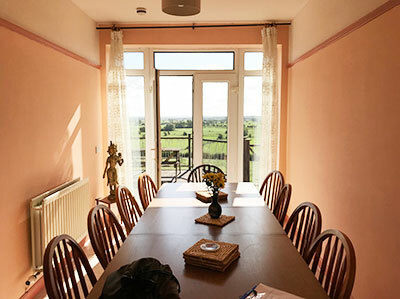 It is about a 15 minute walk to Chalice Wells Gardens and the foot of The Tor and about the same in to Glastonbury town centre. 4 x single beds to a large room. Our group has dedicated use of Healing Waters Sanctuary during our stay. Note: Special diets can be catered for with at least 4 weeks notice and a small additional cost. 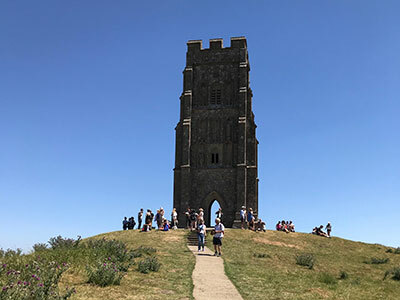 Afternoon – free to explore and experience the sites and sounds of Glastonbury on your own or return to the Sanctuary to enjoy rest and stillness. Please be aware these times are given as a guideline and the order of visits may also change depending on circumstances, spiritual guidance received and best outcomes for the group. Please ensure you are able to stay for the whole of the weekend retreat otherwise this can be disruptive to the group. Thank you.